It’s something we seemingly can’t live without, and something most of us know very little about. Coins, and all forms of money for that matter, are an important part of our lives, allowing us to buy food, drinks and other products as well as to pay for parking and for services. Yet we don’t tend to stop and think about how far they’ve come since they were first brought into circulation. Over the past few month, news hit that the look of British currency will change. Author Jane Austen will appear on the £10 note in place of Charles Darwin, following criticism that the Bank of England had ignored important women in British history with its announcement that Winston Churchill will replace prison reformer Elizabeth Fry on the £5 note. Back in 1998, the bank introduced the £2 coin into circulation, the most recent addition to British currency. 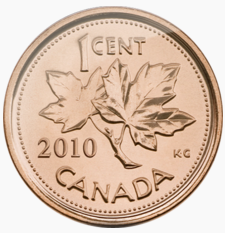 And across the ocean, the Royal Canadian Mint ended production of its one-cent penny coin in February. These recent news items illustrate that money changes over time and has quite a history. The history of coins begins around 700BC in Aegina Island or at around 650 BC in the ancient Greek city of Ephesus, Lydia (present-day Turkey) – depending on which sources you believe. Coins were originally introduced as a bargaining tool used for trade between people looking to exchange goods with no particular value. The materials used to manufacture coins around the world have changed too. They’ve not always been as we know them today. For example, some coins have been made of stone. In the Seychelles, coins have been made out of ivory. Possibly the most iconic coins with highest demand among collectors are those from the ancient Greek and Roman eras. Gold, silver and copper are the most common materials used today, and many of these coins are created by using a process known as cold forming – something far more advanced than the traditional carving methods involving a hammer and an anvil! The process of cold forming is a high-speed manufacturing process where metal is shaped without the removal of any of the original material. This helps the products – in this case coins – to stay strong with all of the benefits of high quality craftsmanship to engrave and imprint the designs onto the metal work, be it gold, silver or copper. The process is similar to the metal press that developed in countries such as France and Germany throughout the 19th century before making their way over to the UK and USA. Although the majority of countries today use paper money in the form of bank notes, coins maintain a particular level of importance. They allow us to purchase goods and items that aren’t a “round figure” such as £5, €10 or $20. And they always come in handy – you never know when that coin you find down the side of the chair will help you out to get yourself a chocolate fix at work in the afternoon! So what does the future of coins and currency have in store? In Europe, the Euro has now been in circulation for a significant period of time to varying degrees of success. The majority of European nations use the single currency, although the UK still uses the pound, but could we maybe see the day whereby the whole planet uses one single currency? It would certainly make travelling abroad much more simple as we wouldn’t have to have money exchanged before we travel, and we wouldn’t have to spend an age stood in front of an item in a shop wondering if it’s expensive or incredibly cheap! It has been discussed for many years in innocent conversations, particularly in the UK, that a 99p coin should be introduced. Many items are priced at, for instance, £9.99p and handing over a ten-pound note is the simple way to pay, but if 99p is used so often, why not have a special coin for it? Amanda Walters is a journalist, blogger, poet and an artist. She has written for various websites including HuffingtonPost, DailyWaffle and had her concrete poetry work exhibited at university events in the UK. She loves to network, attend events across the UK, and learn in order to expand her horizons and gain inspiration from those around her.